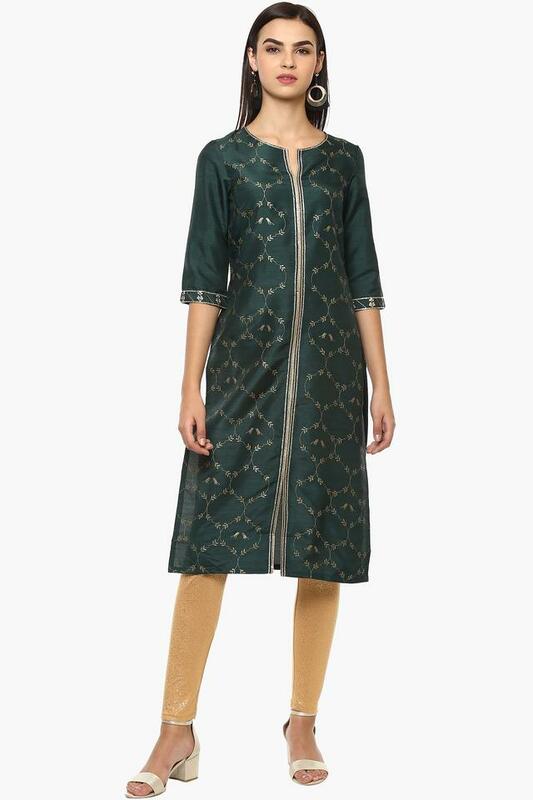 Incorporate a chic finish in your festive looks with this straight fit kurta from W. It features a notched collar, printed pattern and it is completed with three quarter sleeves. 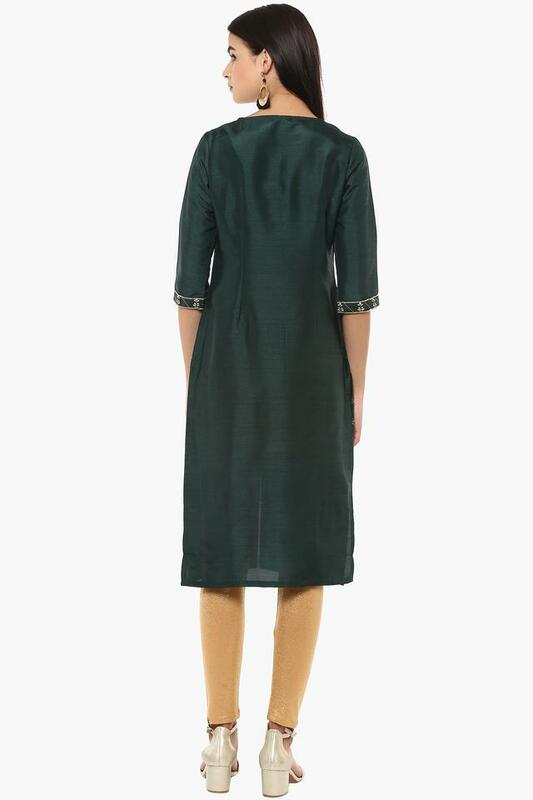 Expertly tailored using good quality fabric, this kurta stays soft against the skin. 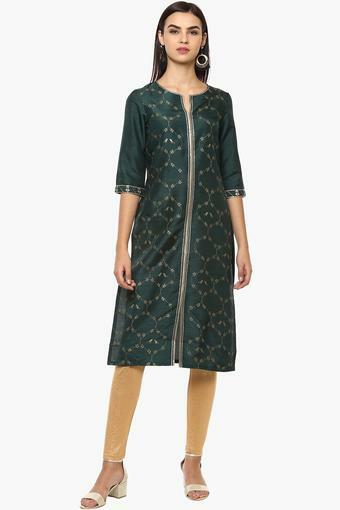 Express yourself with graceful flair in this kurta. Team it with either pair of?�churidar?�or pants for a charming look.